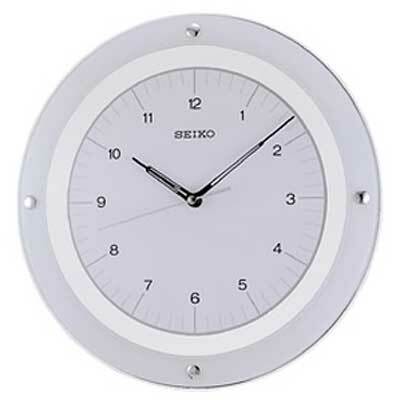 Modern White wall clock with Quiet sweep second hand that moves in a continuous sweeping motion with no ticking. Glass crystal. 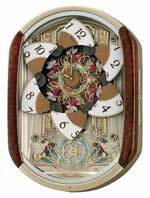 White face with black Arabic numerals. 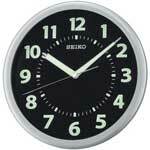 The black designer hour and minute hands are easy to read against the contrast of the face. One "AA" battery included. Size: W 12 2/3" D 1 2/5"